As the planet’s largest search engine, Google’s mission is to organize the world’s information and make it universally accessible and useful. We play by Google’s rules since we have no other choice. And there are some time-tested axioms that always hold true for Google SEO ranking: the importance of gaining Google’s trust, the age of a domain, and quality of content over quantity. While Google rankings & SEO may seem a bit overwhelming to most people, it doesn’t have to be rocket science. In fact, there are some simple measures you can start doing today to improve your web performance metrics and hence, improve your Google Score. Statistics show that customers tend to abandon a website that hasn’t loaded within 3 seconds. In fact, back in April 2010, Google started using page speed as a ranking factor, meaning that faster pages would earn higher SEO rankings than slow ones. So, the big question here becomes how are you improving your website load time to optimize your web performance and satisfy Google’s ranking algorithms? Today mobile is the name of the game and even if you don’t have a mobile application, it’s important to ensure that your regular web application is Mobile First. Google reports that in the USA 94% of people with smartphones search for local information on their phones. Translated, this means that unless your website is mobile friendly, visitors will likely abandon it. 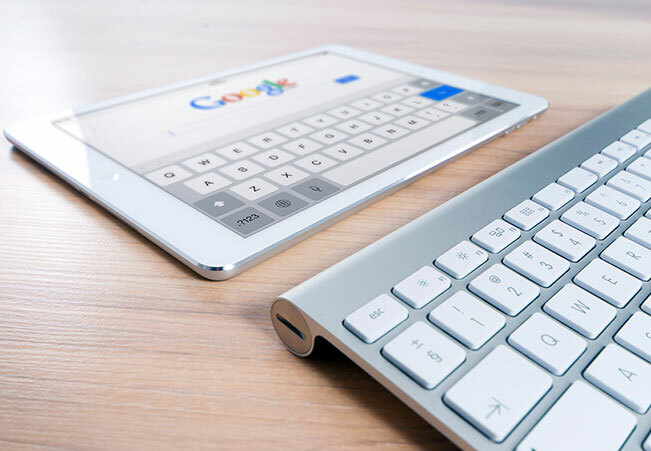 Google offers a simple mobile-friendly test that can show how visitors will interact with your website on a mobile device. In fact, in May 2016 Google applied the same standard to mobile-friendly websites. Google now provides a test page where visitors can see how mobile-friendly their website ranks. A close relationship exists between website speed and Google ranking. Since website speed also depends so much on the quality of your web hosting, it’s always a good idea to check with your provider to see what kind of package you have and whether an upgrade is in order. For example, a shared hosting account often involves sharing server space with dozens of other companies where website speed is impacted by the number of people using the servers. If this is the case, then it may be time to consider a dedicated plan where you have sole access to the server. Again, anything that can be done to mitigate against unwanted downtime is crucial for improving the overall performance of your online business. The best step you can take to avoiding downtime issues is to ensure your web host offers a continual uptime guarantee. The most common type is 99.9% uptime, though some providers are even moving to a 100% guarantee. Readers are put off by large walls of text. Do them and favor and organize your website content in a way that is easy to read and follow. Make frequent use of spacing and hard returns to set text apart and make it flow naturally. Evidence shows that a well-placed image can increase conversion rates on a website. And the best way to signal the relevance of an image to a search engine is by relevant keywords. The simple trick here is to add ‘alt’ and ‘title’ tags to the images, a technique recommended by Google publishing guidelines The ‘alt’ tag describes what’s on the image and the function of the image on the page, and is used by screen readers (browsers used by blind and visually impaired people) to tell them what is on the image. The simple and straightforward idea here is that Google likes quality content over quantity. As one very well-ranked blogger well puts it, “I don’t focus on pushing out tons of content; I simply focus on pushing on very good content as often as possible. The web is built on links and the underpinnings of SEO is about backlinks to your website. When someone clicks on a link to your site that is broken, several bad things happen – user frustration increase, your credibility diminishes, and your page rankings are hurt as well. So, broken links are a very bad thing for SEO. Fortunately, there are a number of tools online to help fix bad links, including Screaming Frog SEO Spider, Broken Link Checker(WordPress Plugin), and W3C Link Checker.